How to set up classes and get your students added. We recommend that you set up a unique class in Pocket Points for each of your class periods. 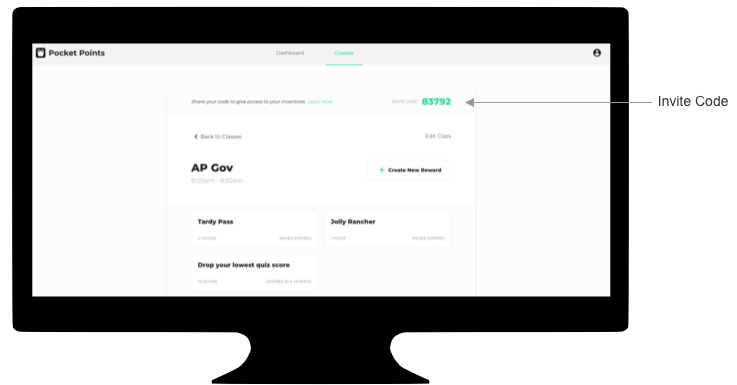 This will ensure that your students can only earn your rewards in your classroom and allow you more flexibility in tracking student progress. This is what your students will see in the app when they look at your rewards. Pro tip: Choose a name that your students will easily recognize. 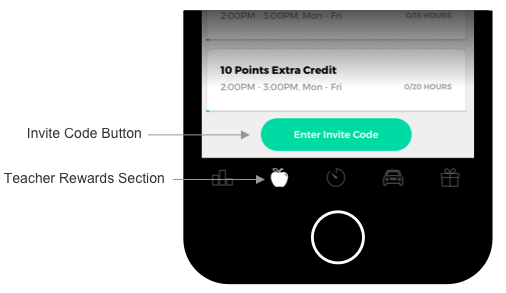 If they have multiple teachers offering rewards on Pocket Points, they need to be able to distinguish your class. This determines when students will be able to make progress towards your rewards. Example: the students in this class would only be able to make progress towards the class rewards from 8-8:50AM Monday through Friday while on campus. This will not restrict your students using Pocket Points during the rest of the day. The time only applies to your rewards. If you have a block, rotating, or otherwise non-traditional schedule, don't worry! We're working on a scheduling tool for you. Create at least one reward that your students can work towards. Choose how long your students need to keep their phone locked in your classroom and what they will receive when they hit that goal. For more information about reward creation, check out this article. If you need some inspiration, check out our huge list of reward ideas. Each class has a unique 5 digit invite code. You can find that code on the top right corner of each class page. 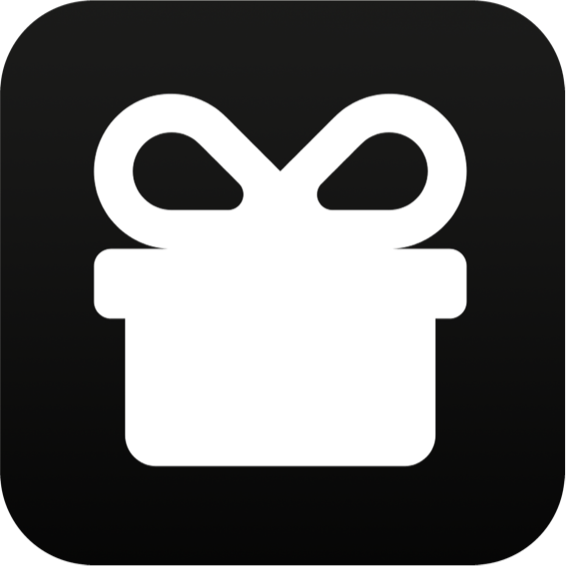 Tell your students to enter the code in the teacher rewards section of Pocket Points. Just tell them to look for the apple icon at the bottom of the app.